He has gained significant experience acting as a Technical Consultant appointed by the Court and the Party in different specialisations of civil proceedings, in particular when defining the receivable and payable relationships resulting from bank and insurance contracts, contracts of carriage, agency agreements, assessing the work done by directors and statutory auditors within liability actions. In criminal law he specifically acts as assistant or advisor to the Public Prosecutor or to the parties in the event of appraising the existence of conditions for bankruptcy crimes charged to directors and statutory auditors. In judicial matters, he aids administrators and Judicial Custodians of sequestrated companies and corporate shareholdings both in relation to procedures and their management. He is also a delegated officer in charge of selling property in the event of enforcement actions in forfeiture proceedings of assets and property for the 3rd Civil Division at the Court in Milan. He has developed specific expertise in managing fiscal and accounting activities in non-commercial entities and private foundations. He is a statutory auditor in various joint-stock companies. Chartered Accountant at Studio Solidoro. Register of Chartered and Qualified Accountants in Milan. 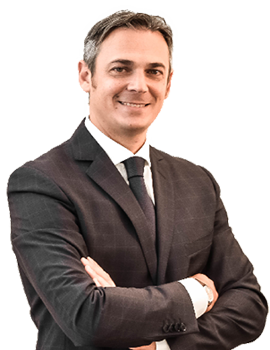 Cristiano Santinelli is Professor of accounting and corporate law at Consorzio Scuola e Lavoro in Milan, CSEA S.c.p.A within educational activities financed by the European Social Fund. He has been member of the State Examination Board for the admission to the professions as Chartered Accountant at Università Bicocca in Milan.